Any type of roofing and skylights have special installation considerations to ensure water-tightness. Many homeowners ask me if they can have a skylight with their metal roof. The answer, of course, is “Yes!” but there are a few things that must be kept in mind. Folks will worry about the noise from rain hitting a metal roof. Generally speaking, this is not a problem but rain hitting a skylight can be deafening. Skylights with chases through your attic can create air leaks from the living space into the attic. This can lead to condensation and mold in the attic and also can cause ice dams on the roof. A skylight in a metal roof must be curb-mounted in order to be properly flashed. It cannot be flush-mounted. Flashing a skylight may involve sealant as one line of defense against water infiltration but, above all, there must be good flashing. Metal roofing manufacturers can explain how to flash their products against skylights and other protrusions. Perhaps most importantly — if you are re-roofing your home and you have existing skylights, I urge you to replace any skylights that are over 10 years old. They have served you well and have a limited life. Even the best skylights have no more than 20-year warranties. It makes no sense to install your permanent metal roof with a skylight that will need to be replaced in a few years. Replacing a skylight in a metal roof will be difficult and may require the significant deconstruction of the roof system if it’s not planned for with the installation. For additional information on metal roofing and solar energy, you can visit our page on Green American Home. More questions about metal roofing and skylights or other installations? I am an elderly lady who lives alone. I am in a moble home and my skylight is leaking. Plz help me. If you let me know where you are located, I might be able to refer you to a contractor near you. Other than that, I would suggest you contact a qualified roofing contractor. i would like to know if I can put a metal roof around my existing skylights. They are on shingled roof now. We have a 20 year old house, metal roof and two skylights that help brighten the north side of our home. However, one has had a broken seal for a couple years, but no damage we could see. However, we just noticed water damage around it inside on the drywall. I fear this could be a pricey fix. Do you now any contractors in the Grand Rapids MI market? Thanks! Thank you. You are correct in that this likely will not be a quick and easy repair. The metal roofing contractor I have worked with the most in Michigan is American Metal Roofs. http://www.americanmetalroofs.com I am not positive they will want to take on a repair of this type but they are certainly capable of doing well at it. My house and its metal roof are seven years old and has three skylights that were installed correctly but the insulation around the skylights was poorly done and there are condensation issues. Access to the insulation area around the skylights is extremely restricted so I am considering removing the skylights completely and rebuilding the roof just in the skylight zones. I live in NW Michigan and the past two winters have been quite brutal so the condensation has been significant. I’ll miss the skylights but I prefer to solid insulation and a solid roof. Do you have any advice or cautions? Kind of interesting. I was talking to someone today in Canada with similar issues. The thermal bridging of skylights can very much cause these issues if they are not well insulated.I am sure that you understand your exact construction better than I do but chances are there is some rot in the area and possibly mold … so your plan is probably a good move. I would consider spray foaming closed cell urethane around the skylight chases. Just wanted to let you know that we had our skylights replaced and the roof inspected with great success by West Michigan Roofing (http://www.westmichiganroofing.com/) and they did a great job. We were fortunate in having no wood rot or water damage, and the new skylights are great! Went to replace a skylight on a porch. Area code is 28786, Asheville, NC. Can you recommend supplier and contractor. Thanks for your inquiry. I am not sure I can think of any contacts specifically for what you need. If you contact AAC Building Materials there in Asheville and explain your exact situation, I bet they will have some recommendations. As far as brand of skylights, Velux’s high end models have a 20 year warranty and I like that. I might also suggest attending your local home & garden show this spring. That’s where we found our (awesome) contractor. We’re not in NC, but it’s a good place to scope out vendors here in MI. Which Skylights or Sun Tunnels do you recommend with metal roof? We are planning to install a new metal roof, and want to add some skylights or sun tunnels in a few different spots on the roof. Is there a certain model you recommend? Thank you. It is important that skylights be raised, such as up on a curb. That gives you something to flash to. Flush-mounted skylights do not work well with metal roofs. As far as a brand, Velux seems to have the best warranty. In regards to sun tunnels, they can be a bit challenging and usually a lot of sealant is used around the, It is possible to put a curb around them as well, and orient it like a diamond on the roof. That can be helpful. If you send me an email, I can reply with a photo of this. My email is todd@asktoddmiller.com I do not know of any brands of sun tunnels to recommend. I’m in southern Quebec, on the NY border. I have not seen any mention about electrolysis between aluminum skylight and a steel roof. Is this a concern? BTW, I have a steel roof ON TOP of a shingle roof (probably about 4″deep) at a 45-degree angle. The steel-roof installer, (a friend) said it was a lot cheaper this way, than to start removing all the old 20-year old shingles damaged during the great ’98 ice storm, which we survived without electric power for 27 days! The skylight(s) would be installed BELOW any attic consideration. Anyhow- I’m most concerned about aluminum-steel electric interaction. Tony, you are correct that electrolysis / galvanic reaction can occur between dissimilar metals. Usually in the case of skylights on steel roofs, though, you have various quality coatings on the two metals, as well as sealants, which prevent direct contact of dissimilar metals. I have never seen this to be a problem on skylights but, that said, I do not know exactly how yours were done. We all live in a small town, not interested in a big flap, just want to do what’s fair to resolve situation. This is not the first time this has happened, believe it or not. I would request that they either change the back side of the roof to match the brown … or re-do the front side with black. Ideally, they’d replace your entire roof with black but that may be a bit much to ask for. Thanks, hopefully the negotiations go well! I need to find a roof contractor to replace my two roof skylights. They are dome shaped framed skylights. There is a wood frame underneath it. How do I measure the skylights that I need? Do I measure the wood frame or the skylight itself? Inside or outside measurements? I am so sorry for the delay in my response. With the holidays and all. I hope that the new year is off to a great start for you. Adding a skylight to an existing metal roof is difficult. Frankly, I’d advise against it. If it must be done, though, I’d suggest going back to the company that installed the metal roof. I also suggest Velux as a skylight brand. I hope this helps. Please contact me anytime. we had a new metal roof installed over shingles the roof dont leak during rain storms but will drip after a frost the inside framing is not installed at this time would this be why its leaking? If warm moist air from inside the structure reaches a cool surface, it will condense. If it’s cold enough, it will turn to frost and then melt later. 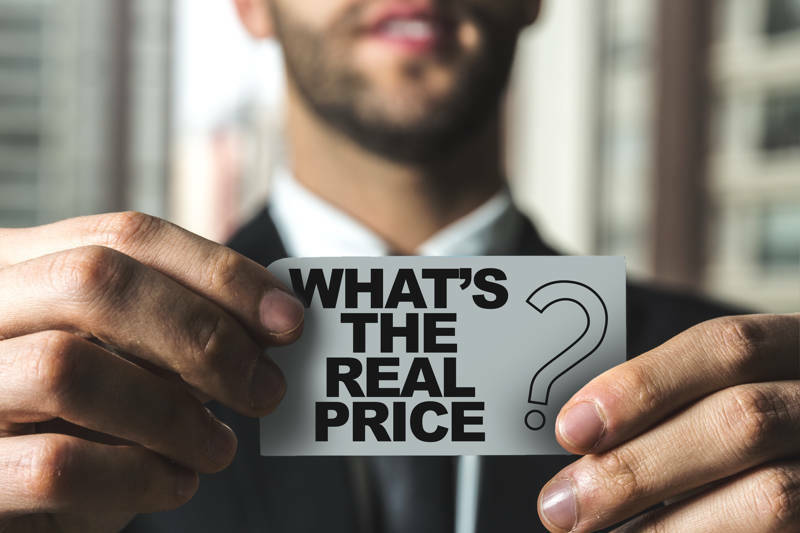 So, the things to think through are what is the cool surface it is condensing on … and how through sealing, insulation, or ventilation, can you stop the warm moist air from reaching the cold surface? 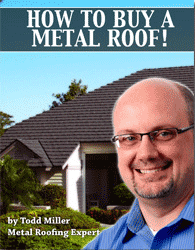 The metal roof may pose a colder surface than was there before. The lack of inside framing may be the source of an air leak that otherwise may not be there. And, finally, the new roof may have created a situation with less attic ventilation than you had before.